Good morning, wide-awakers! If Mallett's Mallet, Blaaaah, Hawaiian shirts, itsy bitsy teeny weenie yellow polka dot bikinis and plasters with felt tip writing on them mean anything to you, then you could very well be in the market for one of our awesome and exclusive Wacaday goodies! 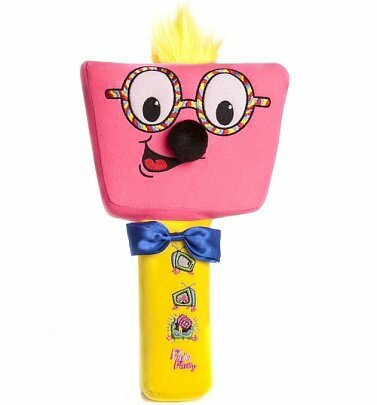 Our Wacaday T-Shirt and Wacaday Jumper feature a vintage-style print of the larger-than-life presenter, Timmy Mallett and side kick Pinky Punky from the cult school holidays kids show, and our amazing Pinky Punky Wacaday Mallett's Mallet is a must-have for any '80s child. Give us a Blaaaah!